The scented candle fundraisers you see listed below are hand-poured right here in the USA, contain lead-free wicks and have a burn time of approximately 75+ hours.. All candle fundraisers include a beautiful order-taker with professionally-taken photos of the candles, so the candles literally sell themselves. 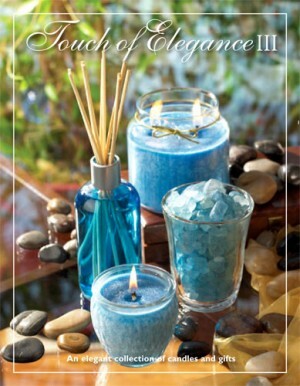 If you want to offer aromatherapy products, as well, consider the Touch of Elegance III. The Journey of Faith candle fundraiser is a favorite for religious groups. Labeled with Inspirational Quotes such as “Live, Laugh, Love!” Our #1 Selling Candle fundraiser features highly-fragrant candles hand-poured in the USA with lead-free wicks and natural wax, and have a 75-hour burn time. Loved by Church Organizations! They are beautifully labeled with titles such as Hope, Praise and Serve, followed by a corresponding verse. 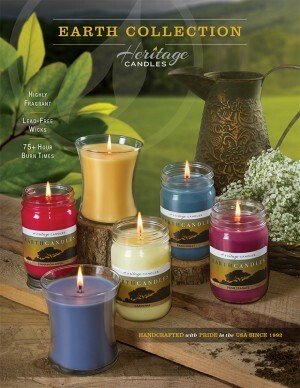 The Journey of Faith candle order-taker features 8 wonderfully scented candles. 18 fabulous scents, available in canning jars and hourglass tumblers! Hand-poured with pride in the USA! Beautiful brochure and products photos does the selling for you. This collection of 6 popular scented candles are priced at only $10 each. They include baked apple pie, cucumber melon, orange spice tea, pomegranate, sea mist and lavender and warm home. Each nicely labeled 8 oz candle, has a burn time of 55+ hours. Touch of Elegance III candle collection! 27 candles and diffusers to offer your supporters in this beautiful brochure. Warm up your home with a new scent today! 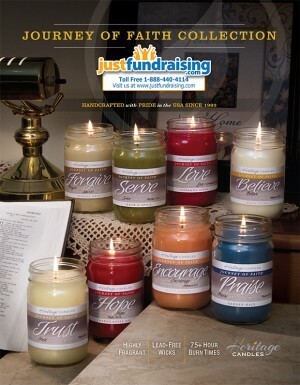 JustFundraising is the Smart Choice for your Candle Fundraiser! 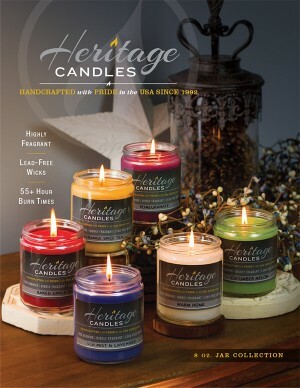 The candles are quality made with lead-free wicks, hand-poured here in the USA. We have a selection of candle fundraisers that appeal to all group types including athletic, schools, churches, etc. Our customers and their supporters absolutely love them. You make 50% profit on every sale! Getting your candle fundraiser started is simple. 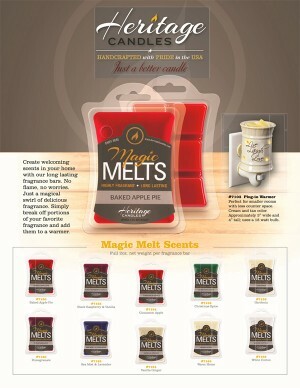 Choose your favorite candle program, and we’ll mail you one free candle order-taker for each of your sellers, at no cost. Your group members will ask friends, family, close neighbors and possibly work colleagues to support your cause by ordering one or more scented candles. Make sure they collect the money up-front and take note of their name, phone and address on the order-taker. After your 2-3 week fundraising campaign, collect all order-takers and money from your sellers, and place your bulk order with us. You’ll pay us with the money you raised, and generally you keep 50% of everything you raised. We’ll ship your candle products within 10 business days, at which point you’ll distribute them to your supporters with a big THANK YOU! Have a few sample candles on hand - the wonderful aromas will win them over. 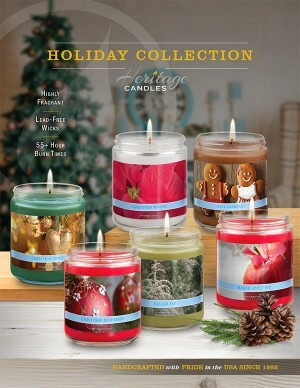 Encourage larger sales by offering bundle deals (5 or more candles) at a slightly lower price. It’s a perfect fundraiser for any gift giving holidays like Thanksgiving, Christmas, Easter, Valentine’s and Mother's Day. Consider offering more selection by providing each seller with 2 different candles order-takers. For example, if you are a church group and have the Journey of Faith candles, possibly do the Quote candles, as well; for other groups, maybe team up the Quote candles with the Earth candles. You guys eased all my worries, and showed genuine concern for my team's candle fundraiser. I really appreciate your support. We just finished up our Earth Candles, Quote Candles and Touch of Elegance Fundraisers and brought in almost $3,000 in sales in three weeks!! After great consideration and a short time frame to raise the funds needed, we went with the Quote Candles to sell. Our squad started selling them the day after each girl was selected for the team... in the matter of two weeks we sold and collected over $3000 in retail. The collection and order process was very easy and the JustFundraising staff helped along the way. Your Candle Fundraiser is FREE To Start! It costs nothing to get started. 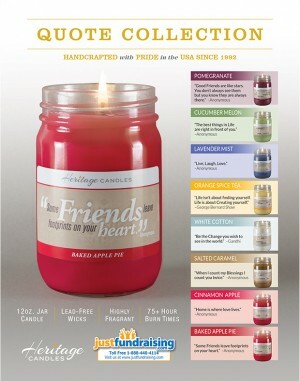 Tell us which candle program you want, and we’ll send you order-takers for each of your sellers, free of charge. If you need help deciding, please call our friendly staff at 1-888-440-4114.